TURKEY - VATICAN Funeral of Mgr. Padovese. Murderer, "I killed the great Satan!" The bishop was stabbed in the house and beheaded outside. He cried help before he died. The murderer shouted "Allah Akbar!". The alleged insanity of the murderer is now to be excluded. There is no medical certificate to prove it. 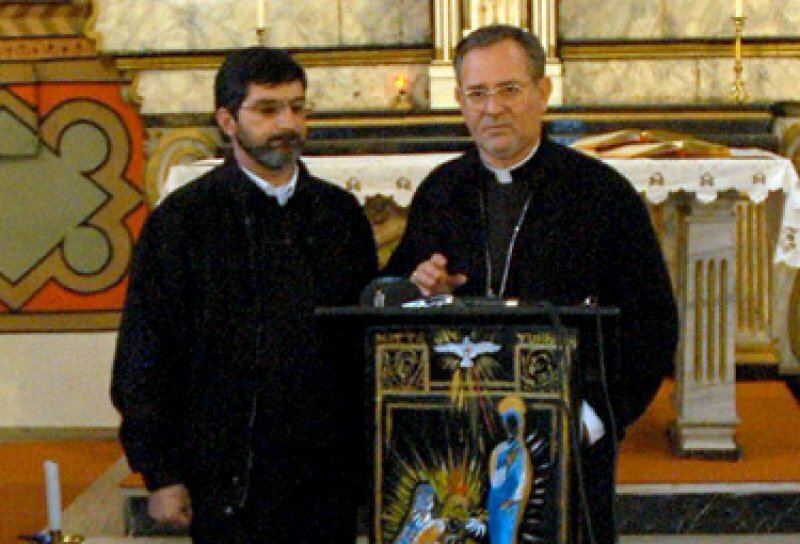 Murat Altun accuses the dead bishop of being a homosexual. Turkish minister of justice condemns the murder and promises to shed light on the incident. Iskenderun (AsiaNews) - Today at 4pm local time the funeral will take place of Msgr. Padovese, killed by his driver, Murat Altun, strangely "crazed" last June 3. Meanwhile, new details have emerged on the dynamics and motives of the killing that has prostrated the Turkish Church. The funeral ceremony will be held in the Church of the Annunciation, with the participation of the apostolic nuncio, Mgr. 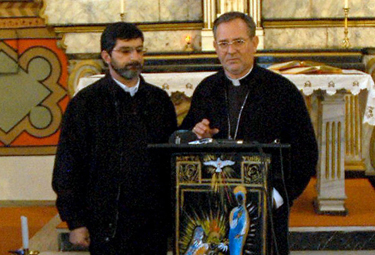 Antonio Lucibello, the Latin bishops of Istanbul and Izmir, the Armenian Catholic Bishop of Istanbul, as well as the priests in Turkey and representatives of international embassies. There will also be a delegate of the Conference of Bishops of Europe present. The presence of bishops from other countries, particularly Italy, are not expected: After the funeral, in Iskenderun, the body of Mgr. Padovese will be brought to Milan, Italy, where he will receive other funeral. The funeral in Italy is likely to take place on Monday, June 14. The delay is due to the fact that the Italian courts have asked to do an autopsy on the body of the martyred bishop. As the days pass, new details emerge on the story of murder and the alleged "insanity" of the assassin. The doctors who performed the autopsy reveal that Mgr. Padovese had knife wounds all over his body, but especially in the heart (at least 8). His head was almost completely detached from his neck, attached to his body by only the skin of the back of the neck. Faced with these new chilling details perhaps the statements by the Turkish government and the first views expressed by the Vatican need to be revised. They had claimed that the killing did not have political or religious implications. Notwithstanding that, as Benedict XVI said in the plane en route to Cyprus, this murder "can not be attributed to Turkey or the Turks, and should not obscure dialogue". Adding to the pontiff's justifiable concerns, are the increasing demands of Catholics and some Turkish NGOs that police should not stop the investigation at the presumed "insanity" of Murat, but proceed and delve deeper into his possible links with organizations of the "Deep State", even beyond the Turkish government. The alleged insanity of the 26 year old who for more than four years lived next to the bishop is now indefensible. Ercan Eris, the church's lawyer, argues that the murderer can not become depressed in a day and that there is no medical report which declares that. Now it is certain that the young man is sane. There is no medical certificate attesting to his mental disability. Recently he said he was depressed, but now it is thought that this was all a strategy to defend himself later. Yesterday in the Ministry of Justice came directly from Ankara to Iskenderun and explicitly condemned the act and ensured that he will do everything possible to shed light on what happened. Establishing the truth is necessary for the Turkish State, because it shows its modernity and ability to guarantee rights, but it is also necessary for the Church. According to police sources, it seems that Murat is offering a new justification for his action: Mgr. Padovese was a homosexual, Murat, 26, was the victim, "forced to suffer abuse." The killing of the bishop was not martyrdom, but an act of "legitimate defence". But according to experts of the Turkish world, the killing of Mgr. Padovese shows an evolution of organizations of the "Deep State" being the first time they aim so high. So far they had targeted ordinary priests, but now they have attacked the head of the Turkish Church (Mgr Padovese was president of the Episcopal Conference of Turkey). At the same time, their actions are becoming more sophisticated, less crude than before. There not only limit their defence to claims of “insanity”, already used for the murder of Father Santoro, but offer more explanation to confuse public opinion nationally and internationally.